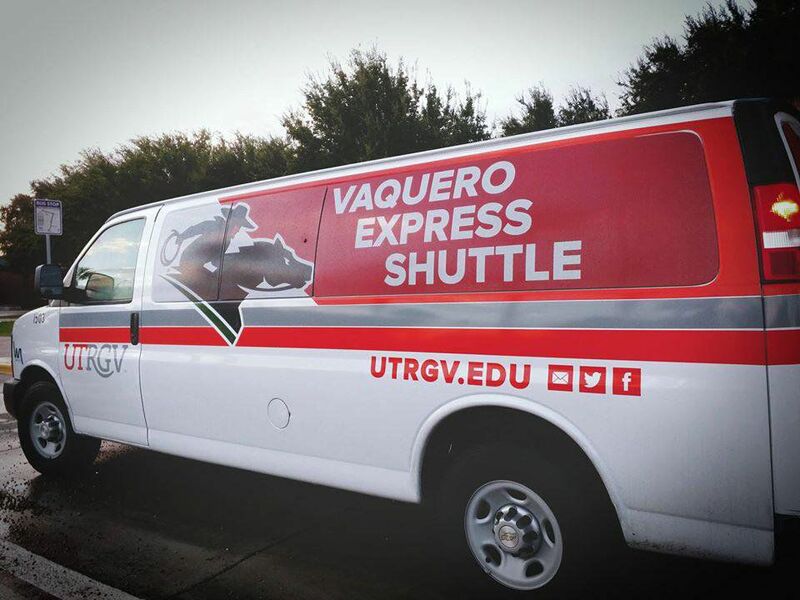 Students at the University of Texas Rio Grande Valley voiced concerns about parking and shuttle schedules at a meeting with university officials this week. EDINBURG — Parking at the University of Texas Rio Grande Valley was addressed again this week when the Student Government Association held a meeting for students to air their concerns on the subject. Citing a lack of parking spaces close to campus, no notice of internal shuttle services and increasing parking permit costs, students who attended the open meeting Friday raised questions and concerns to representatives of the parking and transportation services department. “SGA being the voice of the students, I think it’s important for them to have a voice especially in parking, because that’s one of the most important topics in campus,” said Yaw Sam, SGA member and student at the college of business and entrepreneurship. The meeting took place at both Edinburg and Brownsville campuses and connected via video conference. Parking was the biggest issue as students stressed the need for parking closer to the campus. At peak hours most commuter students are unable to find spots that allow them to quickly get to and from class, students said, becoming an issue for those who have to return to work or have other responsibilities outside of the campus. There are already a few developments in place with a 240-space expansion in lots E25 and E26 on the northeast side of the Edinburg campus, and a 295-space expansion in lot B4 on the eastside of the Brownsville campus. But there are also underutilized parking lots, including Lot E33 by the baseball stadium, Lot E34 next to the intramural fields, and Lot E35 next to the soccer stadium. And while students stressed these are too far and they don’t know when a shuttle will be available, officials said they are looking for ways to make these locations more accessible to students. Some of the current options include adding a tracking service to the shuttles so students can either receive a text notification of the next shuttle arriving at their specific parking lot or be able to track it via a mobile application. A mobile app that allows students to see in advance the availability of parking spaces in various campus lots is another option. Another option would be to encourage park-and-ride locations outside the main campuses to avoid overcrowding of parking lots and added traffic in the area. In recent years, the cost of parking permits has gone up from $60 to $80, and then to $100. Letty Benavides, UTRGV assistant vice president for campus auxiliary services, said there might be another increase of $20 on the horizon. The plan is to not roll it out until there has been an assessment of what the previous increases have covered and a proposal on how the additional funds would be used. Parking does not get any funding from tuition, Benavides said. Instead, all funding for it comes from the parking permits sold and citations, which also goes into safety and security. The 240-space increase at the Edinburg campus, for example, came at a cost of more than $800,000, she said. A planned resurfacing of a parking lot is expected to cost $1 million. Students also wanted to know if a parking garage was in the plans, as this would resolve the issue of availability of spots close to campus. But university officials said that while this is not ruled out as an option, it is also one of the costlier avenues. The agreement was to come up with a survey to ask students how much more they are willing to spend for a parking spot. And the estimated cost per permit for a project like that would be about $400 per parking permit.